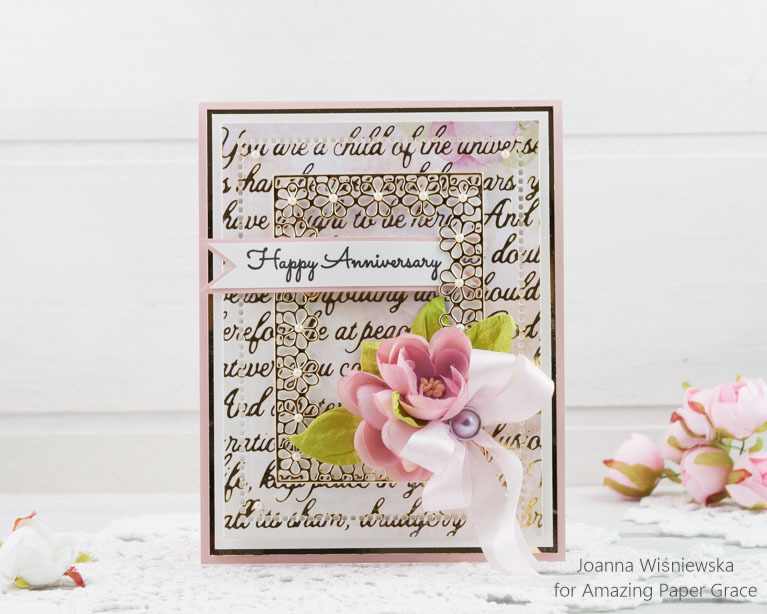 Today I would like to share an anniversary card that I decorated with a hot foil plate. 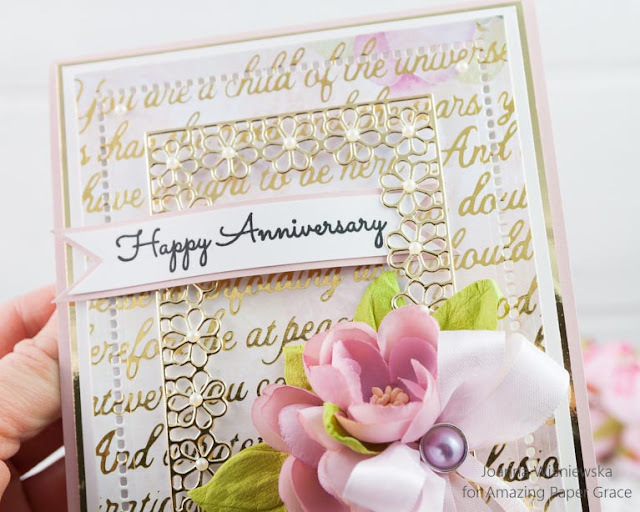 I used Spellbinders GLP-041 - Elegant Background Plate with gold foil. 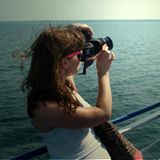 Dzisiaj chciałabym pokazać kartkę z okazji rocznicy, którą ozdobiłam złotym tłem. Użyłam Spellbinders GLP-041 -Elegant Background Plate i złotą folię. On the top of the Elegant Background I placed Lace Flower Frame from Spellbinders S5-328 - Tallulah Frill Layering Frame Small. Sentiment comes from Spellbinders SDS-054 - Giving Occasions Stamp and Die set. The Elegant Background I die cut using Spellbinders S5-308 - Hemstitch Rectangles. Na tło dodałam z zestawu kwiatkową ramkę Spellbinders S5-328 - Tallulah Frill Layering Frame Small, a sentyment jest z zestawu Spellbinders SDS-054 - Giving Occasions Stamp and Die set. Tło wycięłam wykrojnikiem Spellbinders S5-308 - Hemstitch Rectangles.